Committed to the vision of becoming the best financial institution in Nepal, we have been striving to serve innovative products to delight our valued customers. 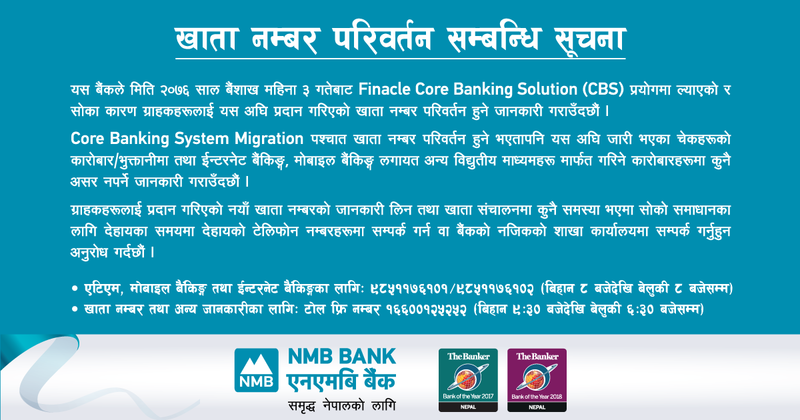 NMB Bank’s Mobile Banking Services is the latest addition to the Bank’s portfolio of innovative banking products. 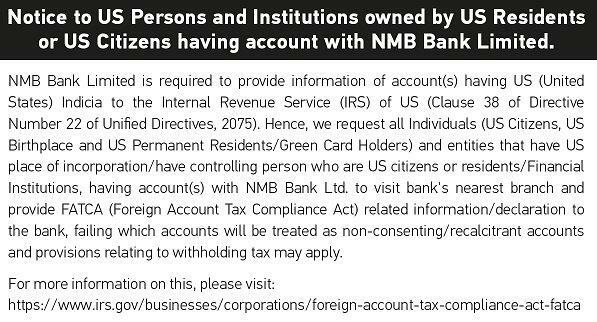 NMB Bank's Mobile Banking Service facilitates you to access a range of services round the clock by using application or SMS keywords. 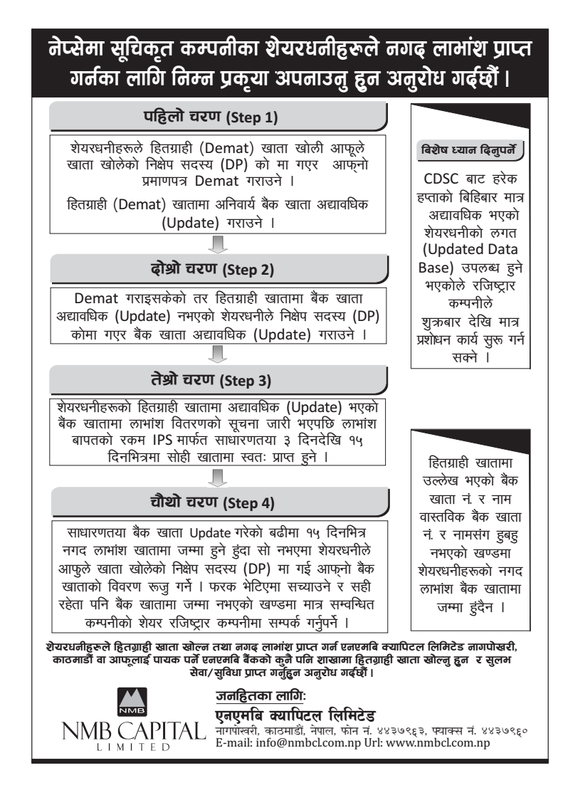 Mobile Banking application is now available in Nepali version. The new customization covers translation of the application features into Nepali language and provides mobile application users the option to select language feature in either English or Nepali. All of these services are available with a simple press of your mobile phone. Sunday-Thursday: 9:30 A.M. to 5:30 P.M.
Friday: 9:30 A.M. to 3 P.M.